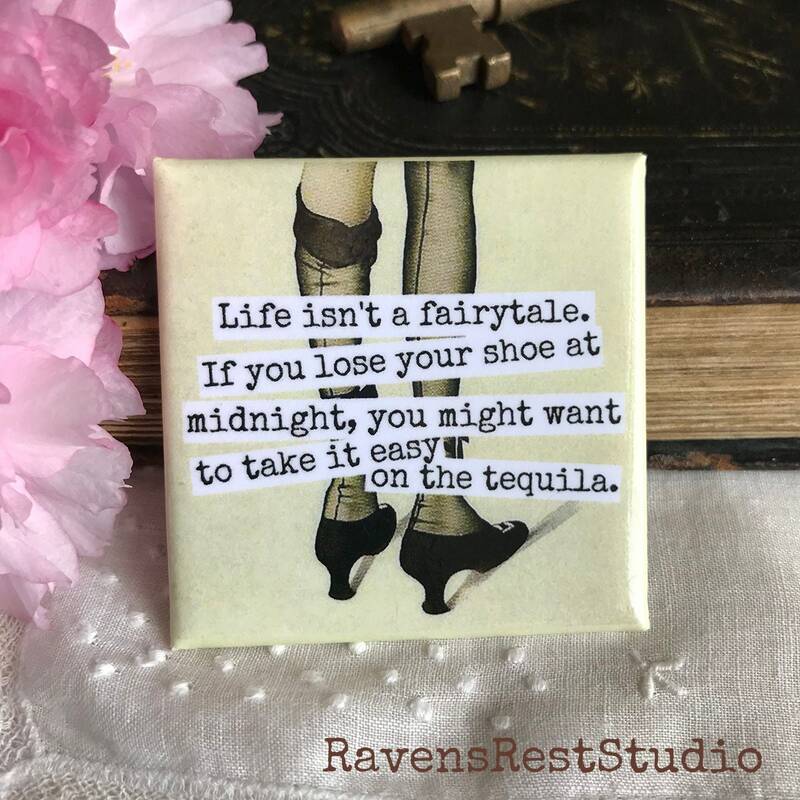 This 2 inch square magnet features a vintage pair of legs and reads: "Life isn't a fairytale. 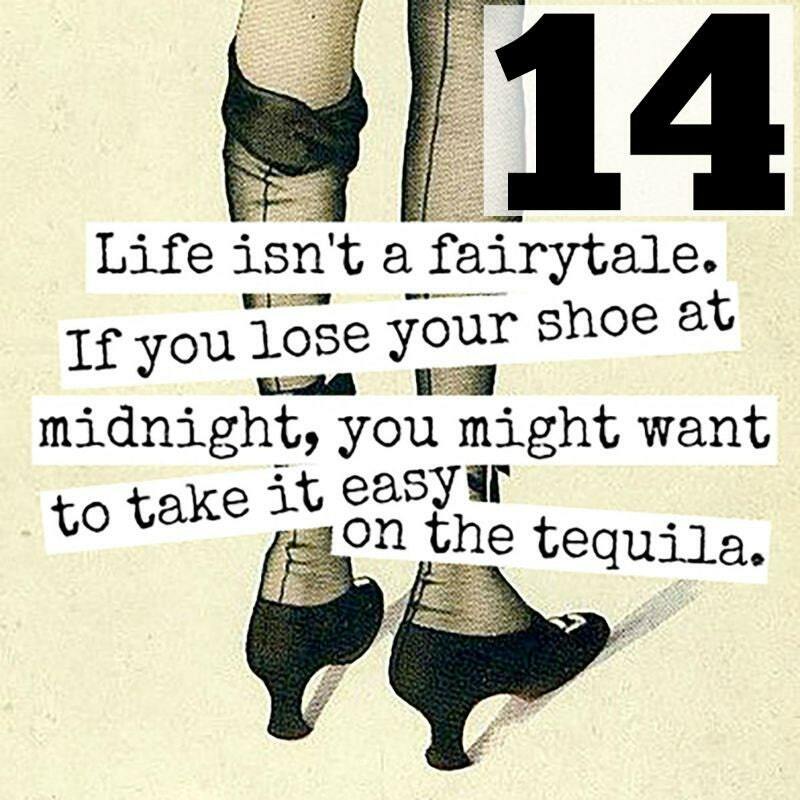 If you lose your shoe at midnight, you might want to take it easy on the tequila." Magnets turned out perfect for what I need them for! 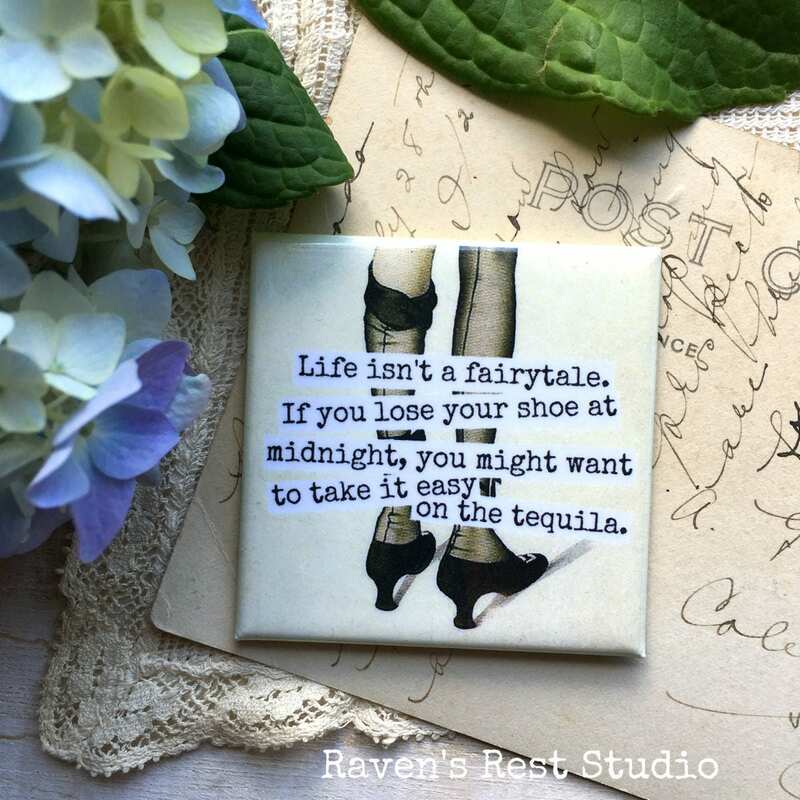 Will purchase again!